Zimplats – which on Thursday recorded a 10% revenue increase for the December quarter despite a 3% decrease in milled tonnes – is readying up to bring back into full production the large Bimha mine which as it will commission underground crusher and ore conveyancing equipment in August this year. The Bimha mine, which accounted for half of Zimplats production, collapsed in 2014, cutting some 70 000 of pgm output. The company has had to invest more than $100 million to re-develop the mine while it switched to an open cast mine to recover output from the collapsed mine. Now Zimplats says it has made progress in work to re-open the mine. The company said on Thursday that “the redevelopment of Bimha Mine remains on schedule” for completion this year. “Installation of the north underground crusher and the ore-conveyancing system were completed during the (December) quarter. The south underground crusher and ore conveyancing system are scheduled for commissioning in August 2019,” said Zimplats. The re-development of the Bimha mine has so far gobbled up a capital investment of about $76 million as at the end of December “against a total project budget of US$101 million”. This is in addition to other investments into a new mine, Mupani Mine, which is a replacement operation for two other mines that are now depleting. 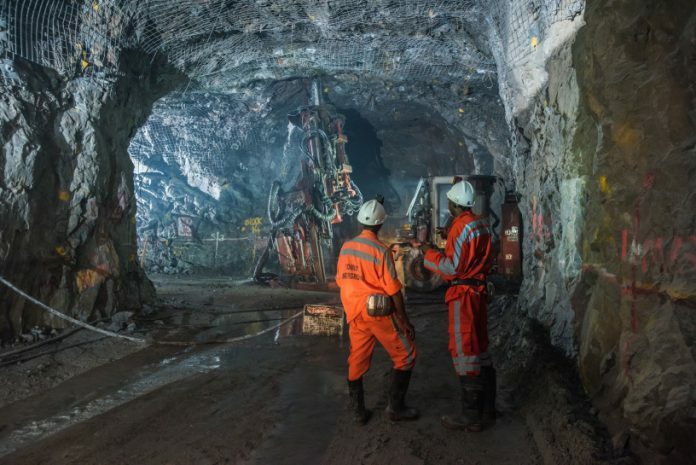 Work on the new replacement mine is “targeting ore contact by August 2019 and full production in August 2025” with a total of $51 million having been spent by the end of 2018. In the quarter to December, Zimplats revenues rose 10% on the previous contrasting period to $153 million, with operating costs declining 14% to $82.6 million. The company’s royalty and commission payments to the government amounted to $6.4 million, translating to a massive 71% rise in profit from operations after royalties to $63.8 million. The rise in revenue has been attributed to “an increase in metal prices (gross revenue per 4E ounce increased by 19% to US$1 173 from US$985), which was partly offset by a 7% reduction in volume” of sold metals. “Net operating costs decreased by 14% compared to the previous quarter mainly due to the decrease in sales volumes and an increase in export incentive. Royalty and commission expenses increased by 13% from the previous quarter due to the increase in sales revenue (driven mainly by palladium and gold),” Zimplats said.